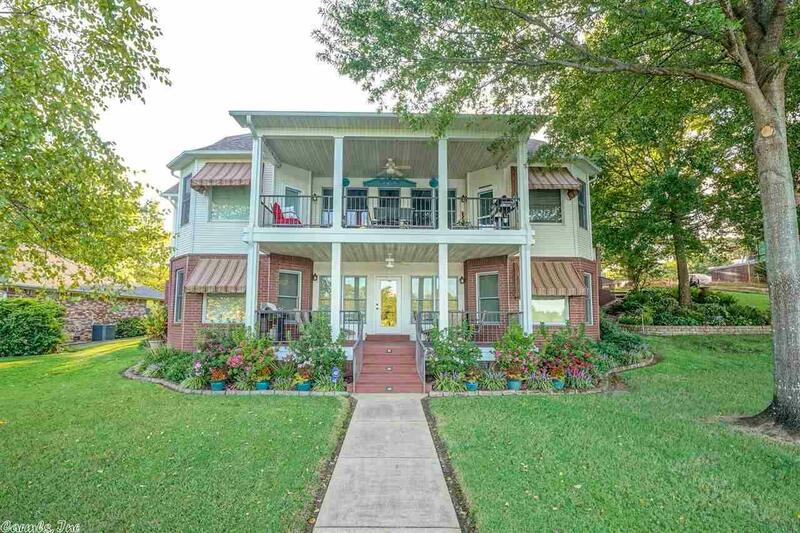 Updated lake home in beautiful Lakesouth's gated subdivision. Immaculate and move-in ready! Extra area for exercise room or craft room. Each level has two bedrooms two baths and a fireplace. Lower level has wet bar with refrigerator and microwave. Covered upper and lower deck/patio areas for your entertainment and enjoyment. Master gardener landscape expertise surrounds home. Two boat slips with lifts transfer, one 10' wide and one 11' wide. Slightly sloped lot on wide cove. Jet ski dock does not convey.